The Congo Nile trail was officially opened in 2009 as a way of diversifying Rwanda’s tourism activities consisting of network of roads running from Gisenyi to Cyangugu- the southern end of Lake Kivu. Between Gisenyi and Cyangugu are several natural tourist attractions ranging from forests, hills, local towns and villages, valleys and many others. 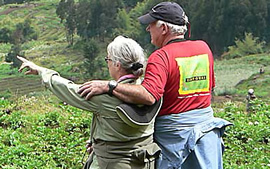 This offers tourists on the trail to experience Rwanda’s village life plus sounds of nature especially from the bird species that can be sighted while on the trail. The Congo trail can be explored using various means which include walking, cycling and motorcycling. all these have advantages and disadvantages depending on individual preferences and opinion; walking for example may be hard especially while going up hill and using a motorcycle maybe a little fast thereby giving you less time to fully explore the attractions on the trail. Cycling on the other hand seems to be a much better option because you will easily move to any part in the trail from the wide roads to narrow footpaths, uphill or down hill. The trail from Gisenyi to Cyangugu covers a distance of 227 kilometers which can be completed in 10 days while hiking or 5 days while biking however in can be split up if the tourist does not have that much time for a 10 days hike or 5 days biking. For all the tourists interested in hiking, Rwanda is very secure and they will just need a few supplies to take them through the journey. They will however need a guiding map and if they have a lot of staff to carry, porters for hire are available as well as English speaking guides. More information about tour agencies or the best time to visit the Congo trail can be obtained from the Rwanda Development Board offices. 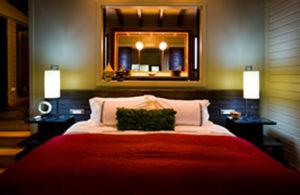 There are various Congo trail paths and duration options that can be used in the Congo Nile trail. The first option is from Gisenyi heading south and ends in Kamembe. This can be completed in 5 days on a bike without mechanical problems. The other option can be using the Gisenyi to Kibuye path which can be completed in a day or two. This best works for tourists who don’t have time. Its necessary to pack drinking water and a snack in your backpack because it might take 5-10 kilometers to reach a village with shops selling snacks and water especially while trekking the extremely remote areas like hills and forests. Most shops in the villages can easily be recognized from MTN or Tigo sign posts on the door and they sell a number of goods that you might need while on the journey. There are about eight well serviced campsites along the Congo Nile trail that were set up by the Rwanda Development Board which do not necessarily require booking in advance. There are also various guest houses especially in major towns and many campsites in local villages linked to local schools and orphanages. It’s therefore better to have your own sleeping tents and sleeping bags and if you don’t have them, you can hire them through the Rwanda Development Board or other operators with gears for hire. The Congo trail is a little challenging and therefore to manage it well especially if you have chosen the biking option, you need to get the right bike that will match with your desires and needs. Many bikes are available for hire especially in Gisenyi but might be a little expensive especially the giant mountain bikes. Some may not be of your desired quality and some of them are locally made with 21 speed limits but without shocks. You can purchase your own new or used bike plus racks and spare parts if you don’t want to hire. The major equipment’s one will need for a successful and less disturbing Congo Nile trail include a sleeping sack, spare parts for those using motorcycles and bikes, a few clothes, toiletries, sun glasses, scarf or sweater to manage the cold nights, a dust mask, water and snacks.